Make cleaning your cat's litter tray a breeze with these Trixie Cat Litter Tray Bags. Simply line the tray with one of these hygienic plastic bags before filling it with litter. When the time comes to change your cat's litter, simply remove the bag together with the soiled litter – no need to clean it out with your hands! 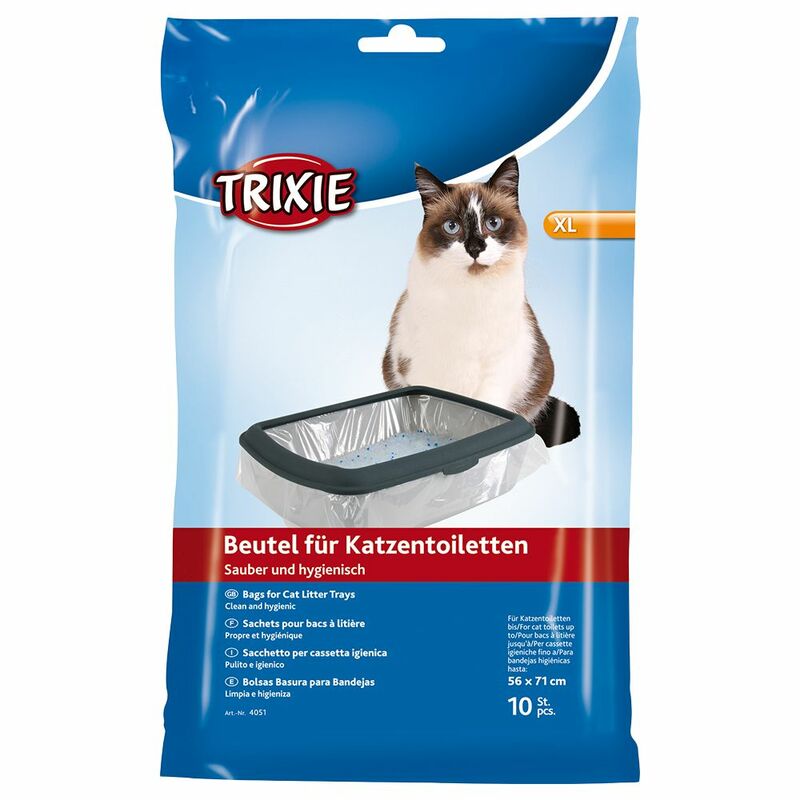 These Trixie Cat Litter Tray Bags are extremely practical and clean to use, ideal for use on journeys or for quick use. Trixie Cat Litter Tray Bags at a glance: Extra-large cat litter tray bags For lining litter trays before filling with cat litter Makes cleaning easy: saves bothersome cleaning of the base tray Particularly practical: ideal for use on journeys or when time is of the eΒence Clean and hygienic Reduces urine build-up in the litter tray, thus minimising unpleasant odours Increases the life of your cat litter tray Dimensions: xL for litter trays up to 71 x 56 cm (L x W) Contents: 10 bags.